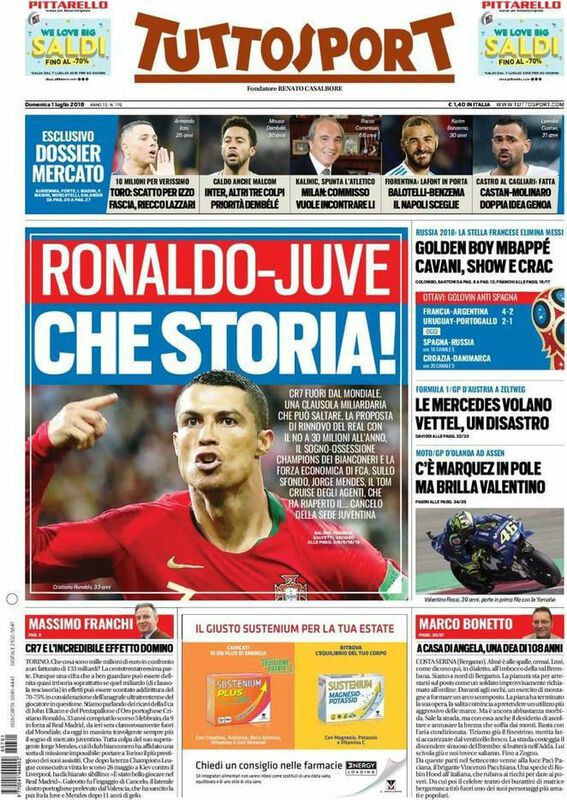 Ronaldo was “incredibly flattered when some Juve fans gave him a “standing ovation after his stunning overhead kick in the Champions League”. Although some others called him a *****. Ronaldo’s agent Jorge Mendes, is the “Tom Cruise of agents.” He a Scientologist? Any reasoning deserves a premise: the chances of seeing Cristiano Ronaldo with the Juventus shirt in the next season are few. 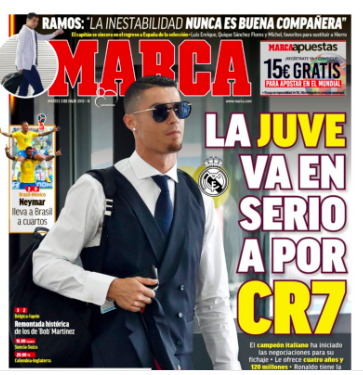 But being the strongest player on the planet, even the few make noise, especially if there is Jorge Mendes , his agent, who will now start a glowing phase of his summer: on one hand waiting for the relaunch of Real Madrid for a consistent retouching of the engagement, on the other the search for alternatives for his client, now on vacation. In short: Ronaldo and his agent want more cash from Real. Will they get it at Juventus? To avoid mistakes, CR7 greeted Real Madrid in Kiev , where he said: “It was nice to play in this club” , just a few minutes after raising the third consecutive Champions League . Now you look around. What are you looking for? First of all, more money: a folly for those who earn 21 million a season, but in the logic of his infinite (and partly irrational) long-distance challenge with Messi wants to take more of him, set new records, get ahead of everyone even at the economic level so he wants at least 40 million net per season, even if they say that to Florentino Perez, president of Real, he asked for 50. And this for Juventus would be the main problem. Almost insurmountable, because the top salary is now 7.5 million net per season (received by Dybala and Higuain) and to give 40 to CR7 would mean putting 80 gross into the budget. Too many. This is why a complex commercial operation would be necessary, in which the FCA of the Juventus shareholder John Elkann could enter , which, through advertising contracts, could contribute substantially to the achievement of the quota.